Every small business owner knows the importance of their business data. What many don’t realise is that, while the chances of a major disaster are quite unlikely, the majority of data loss is the result of small, localised problems. According to Symantec’s 2009 SMB Disaster Preparedness Survey the average Australian small or medium business has had three outages within the past year through incidents such as power failures, virus or hacker attacks, and accidental data loss. These incidents have cost them an estimated $30,000 a day. Is your business prepared for the worst case IT disaster scenario? Could your business and staff handle a major equipment failure, equipment malfunction, outages, virus or malware threat, or even theft? Leap Consulting offers IT disaster recovery and data recovery services for businesses in Perth and throughout Western Australia. 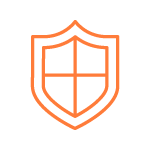 Whether you are taking proactive measures to protect your data or data on your USB, disk drive, hard drive, operating system, or other devices has already been compromised; we’re here to help you get the support you need. tree falling through the roof, a lightning strike, or even theft? Data recovery & disaster services in Perth from Leap Consulting have got you covered. We’ll guide you through the data recovery process from incident to solution. Let us help you protect your company against the disasters that can literally put you out of business. We’ll customise an IT disaster recovery plan for your business to be put into action if anything goes awry. We have a number of options for data backup and recovery, including cloud hosting and IT & internet security solutions. We believe the best way to recover from a data issue is to avoid it happening in the first place. We’ll implement solutions to protect your business against any data issues. Our comprehensive data protection services will reduce risks your business may encounter, such as online security threats and operating errors. Having a solid data management plan will enhance your productivity and maximise uptime by keeping your data safe and your operations running. By spending less money on reactive IT disaster and recovery, you can focus your resources where they’re most effective, like running your business. 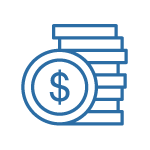 The pricing for data recovery services varies depending on your business’s needs and the IT services you require. For more information and to find get a quote for how much disaster and data recovery from Leap will cost for your situation, get in touch with our team today. Want to learn more about our IT backup and recovery Perth? Contact our friendly, experienced team now.